The Hines Firm was founded in 1979, and includes experienced professionals focused on providing advice and counsel based on trusted judgment. To e-mail an attorney, click on the address following their resume. Mr. Hines is a corporate, tax and automotive industry attorney with over forty years of legal experience, including four years as a trial lawyer in the United States Department of Justice, Tax Division in Washington, D.C. 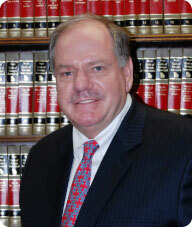 He entered private practice in Atlanta in 1975, and is now primarily engaged in corporate law and in representing automobile dealers in a vast array of matters which include buy/sell transactions for private and public companies, dealer franchise matters, consumer litigation, tax and business planning. Mr. Hines attended Emory University where he received a B.A. in political science in 1967. He received his J.D. from the University of Georgia in 1970 and a Masters in Taxation from Georgetown University in 1975. Mr. Hines is admitted to the State Bar of Georgia and has tried cases throughout the United States. He brings the experience of a trial lawyer to the transaction table in resolving legal and business issues that confront corporations, automobile dealers and individuals in daily business matters. Mr. Hines also served as a Captain with the Unites States Army in the Judge Advocate General Corps (JAGC).